Sign for Sunoco The Distilled Oil. This sign is rectangular and features a dark blue background. 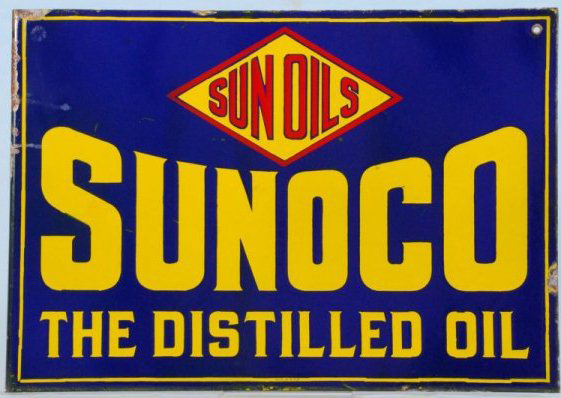 The words “Sunoco The Distilled Oil” are written in yellow.